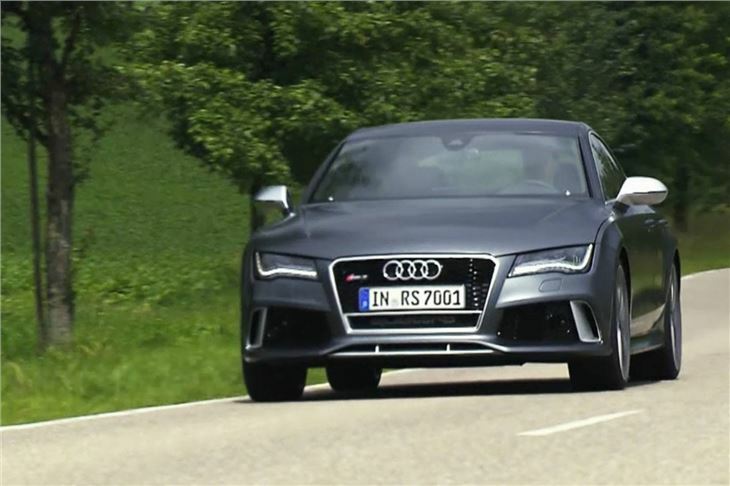 Our test of the Audi RS7 did not quite go as planned. A 06.20 flight from Stansted had meant a 04.00 alarm. But the M25 was closed from junction 23 to 25 for overnight roadworks and no diversion was posted. All I could do was head north sufficiently far up the A1 not to get directed back to the M25 and trust it to my Mazda 6’s built-in TomTom. Happily, no-one seems to get up in rural Hertfordshire before 05.30 so I had the lanes TomTom sent me down to myself and arrived at the Inflite terminal by the skin of my teeth. 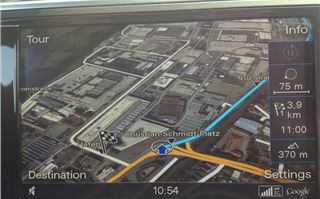 Lightning doesn’t usually strike twice, but half an hour after landing in Germany we were stuck in another traffic jam. And this one was a monster. 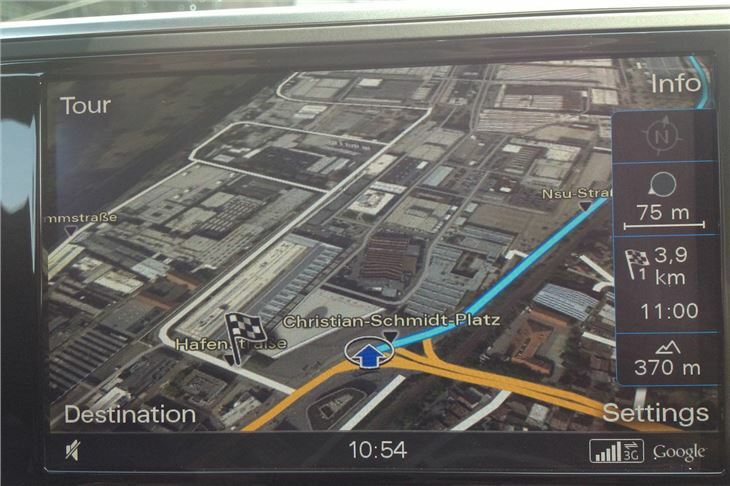 A paint truck had overturned on the autobahn and all the roads around our test centre at the Audi factory were jammed solid. 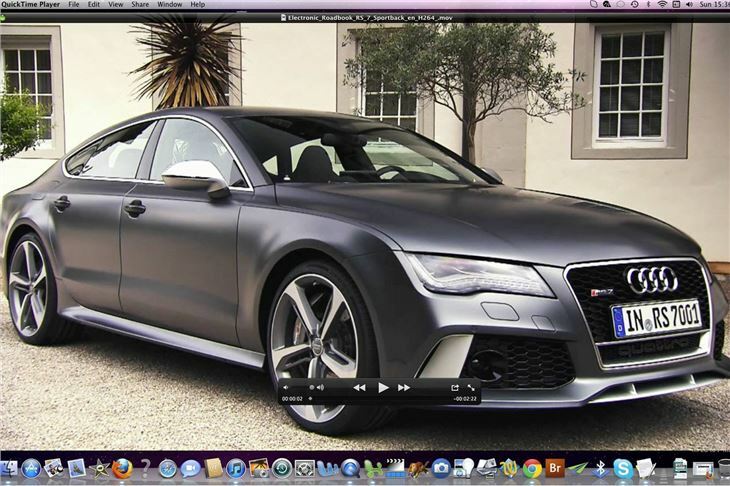 So no chance to check out the 189mph top speed of this 560HP twin turbo 4.0 litre V8. 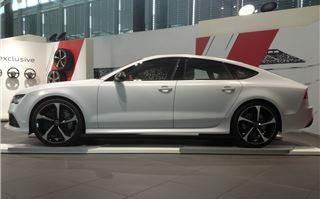 Nor time to compare the ‘Comfort’ spec RS7 on air suspension with the ‘Dynamic’ spec on steel springs with hydraulically interconnected dampers. 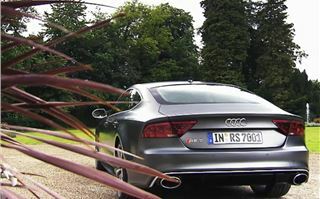 Our car was an all singing, all dancing RS Sport with ‘Dynamic’ spec, carbo-ceramic brakes and 21” wheels with 275/30 R21 tyres. Having passed about ten miles of solid traffic going in the opposite direction but on the same road our ‘route’ took us back, we improvised, and used the excellent and reasonably intuitive Google maps satnav (you get a Google Earth view of the area you’re passing through rather than just a moving map). 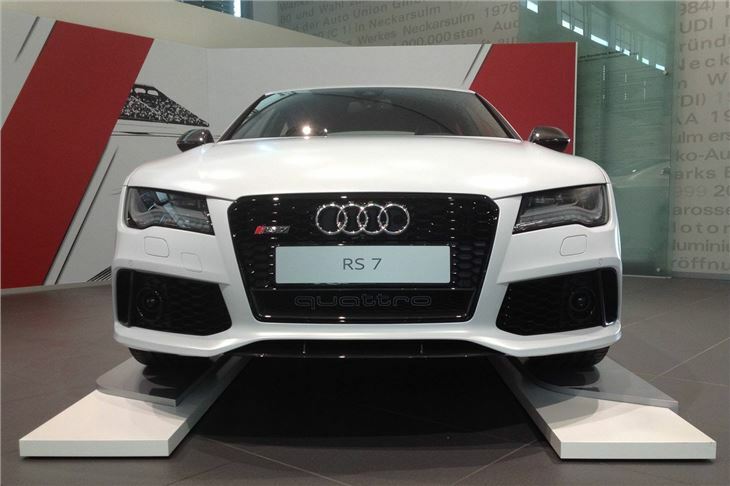 But, I suspect what you really want to know is how well this behemoth of a car lays down 560HP and 700Nm of torque. The answer is, in a very controlled manner. 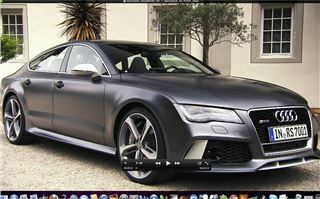 You set off behind what is basically a V4 (with four of the twin-turbo V8s cylinders shut off). 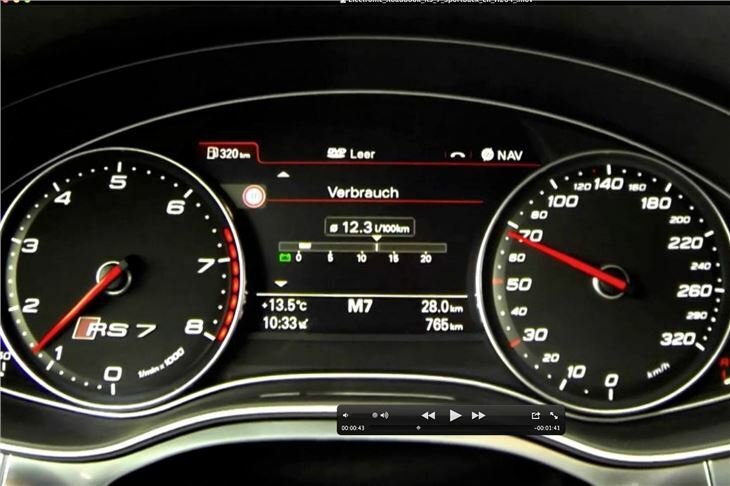 And it changes up through its 8-speed ZF torque converter autobox very quickly. So, unless you stamp on the accelerator pedal, you’re unaware of the car’s potential. 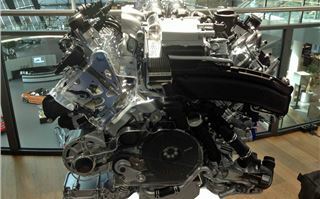 This is how it managed 29mpg in the EC combined cycle. 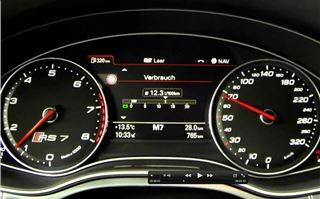 If you want to have some fun you can either select ‘Dynamic’ in the car’s MMI menu, which sharpens up the steering, handling and throttle response. 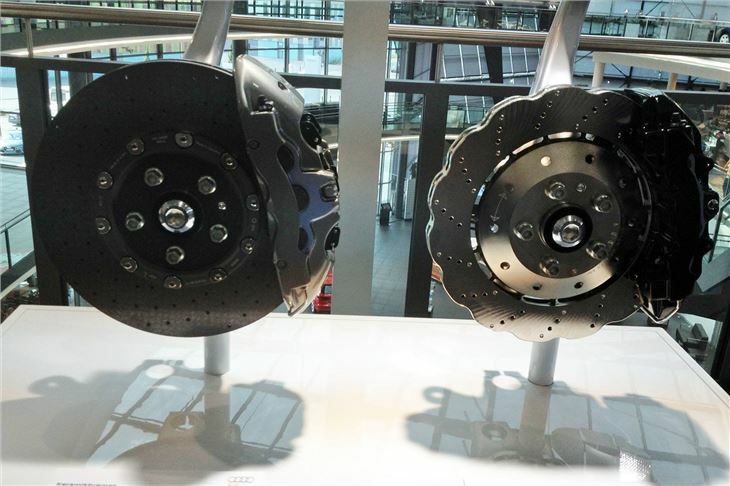 Or you can personalise how you want the car to behave, opting for ‘comfort’ suspension and ‘Dynamic’ steering, for example. 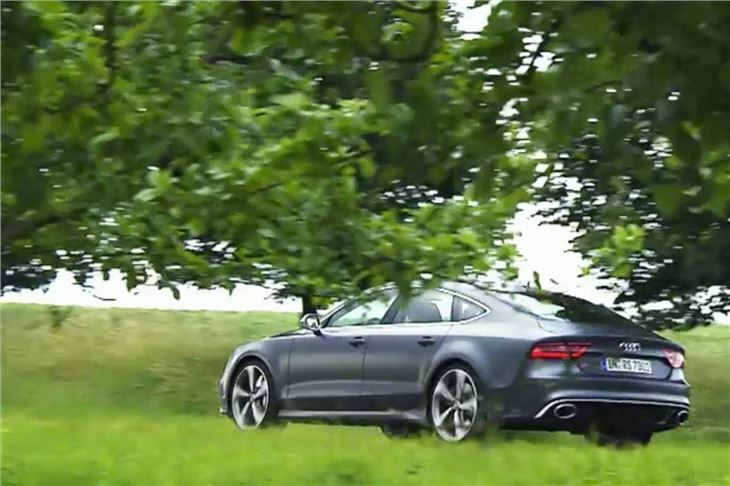 Though it makes some wonderfully sonorous noises, it doesn’t actually bark, crackle and pop like an AMG Mercedes or a Jaguar F Type. It’s not in the least ferocious. 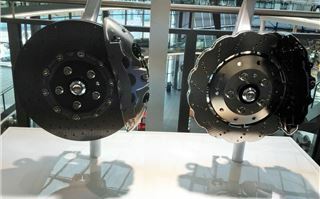 But it’s still a very wide car, so you need to be careful not to kerb those expensive 21” wheels and tyres while overtaking and this, rather than the power, can limit overtaking opportunities. 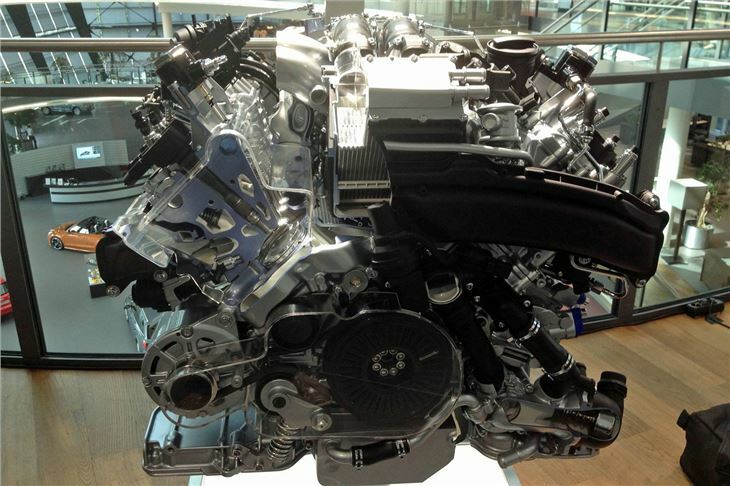 And with those twin turbos nestling in the vee of the eight, the engine can get very hot indeed. It won’t be anyone who’s worried about money. 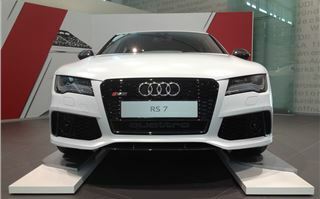 Audi has yet to release the prices of RS7 accessory packs, but says they will be similar to those for the RS6 (with the same floorpan, engine and drivetrain). 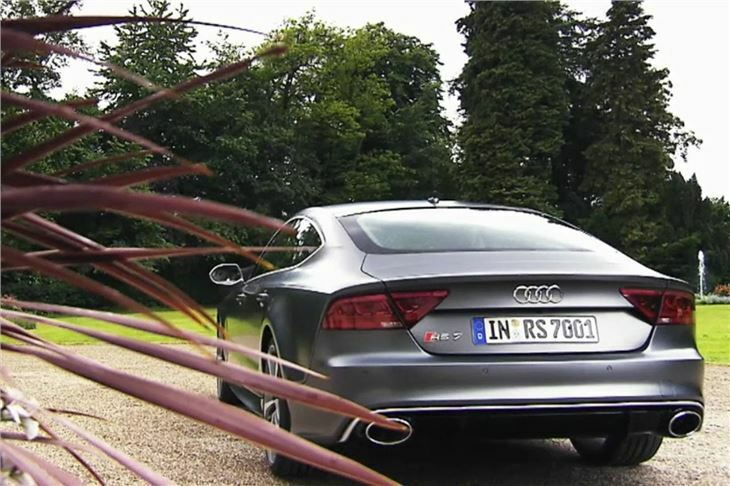 That means the £83,500 list price is just the starting point, so for many the RS7 will be a £100,00 car. Looks obviously come into it. 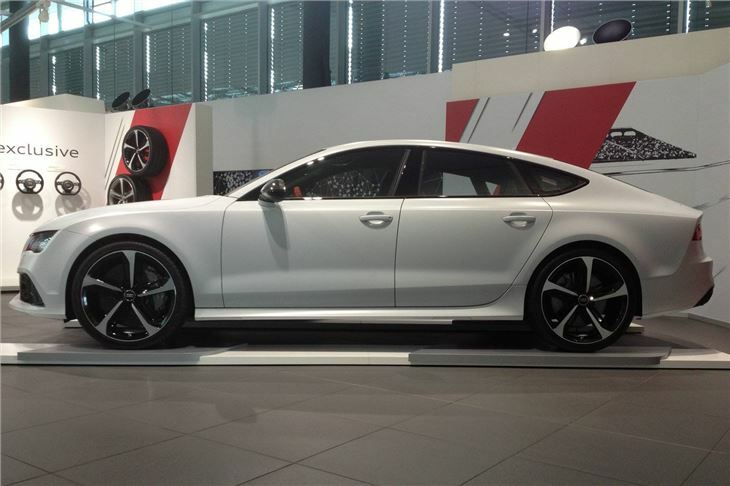 I like the shape, the quality and the detailing (especially the slim row of LEDs in the top of the rear window that act as the car’s third brake lights). It handles well. It manages its power carefully. Up to a point it’s a very safe car. (A tyre failure at 189mph doesn’t bear thinking about.) 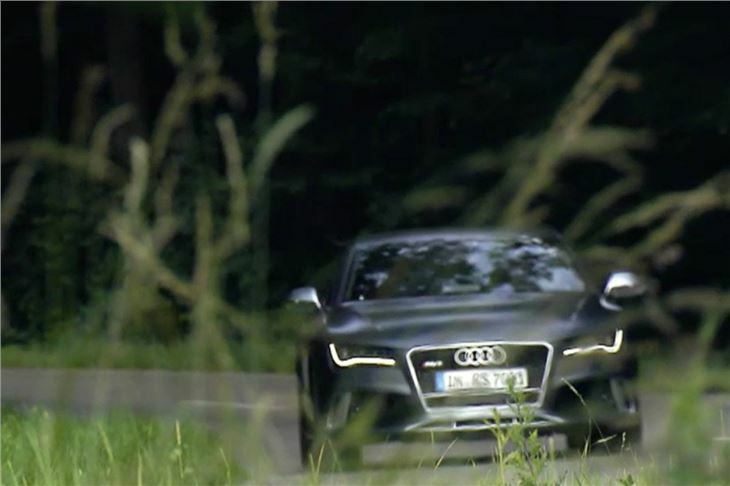 It has collision mitigation systems that automatically reduces speed when a collision is inevitable by 40kmh. 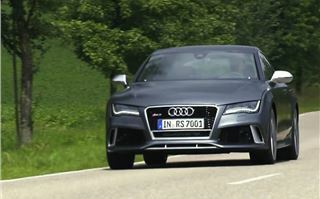 And it carries Audi top-of-the range status. So someone with £100k to spend on a four-seater with a big boot that can actually eke the fuel out cruising at UK speed limits might go for it big time. Though I have an inkling it will be a much bigger seller in China than it will be in the UK. 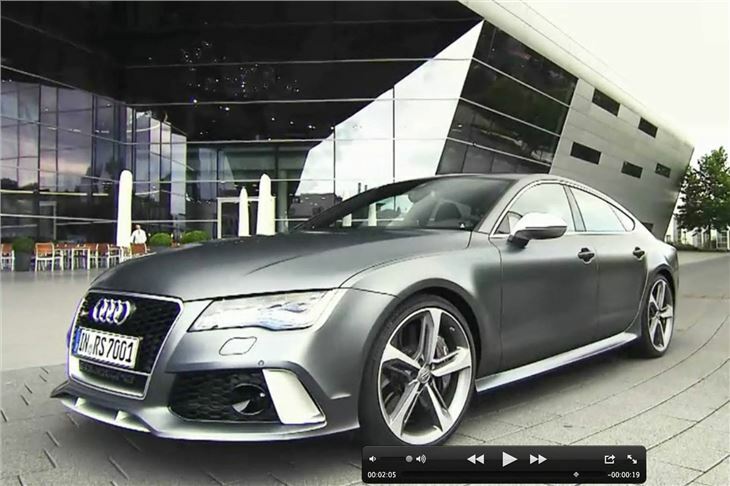 Test and video of Audi A7 V6 models.